Thanksgiving is coming around the corner! But what can you read to the kids this season? 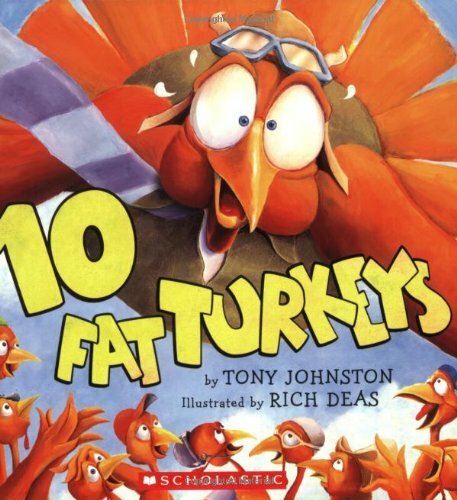 Here is a cornucopia of Thanksgiving picture books that will teach about Thanksgiving, help with literacy, reinforce gratitude and even offer some laughs along the way. You can find these Thanksgiving picture books for children at your local library or purchase through the affiliate links provided for your convenience. 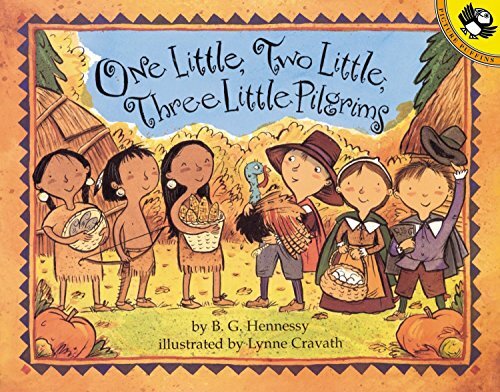 One Little, Two Little, Three Little Pilgrims: Ten little Pilgrims and ten little Wampanoag boys and girls are getting ready for the harvest feast. In colonial Plymouth, the young Pilgrims hunt ducks and geese and dig up turnips and carrots. In a nearby village, the Wampanoag children dig for clams, fish for cod, and gather nuts and berries. Finally, it’s time for the meal. Turkey, cornbread, cranberry stuffing, pumpkin, and Indian pudding are all on the menu-yum! First, everyone gives thanks, and then it’s time to eat and celebrate. The simple, rhythmic text and autumn-colored illustrations are just right for sharing the history and fun of Thanksgiving with young children. 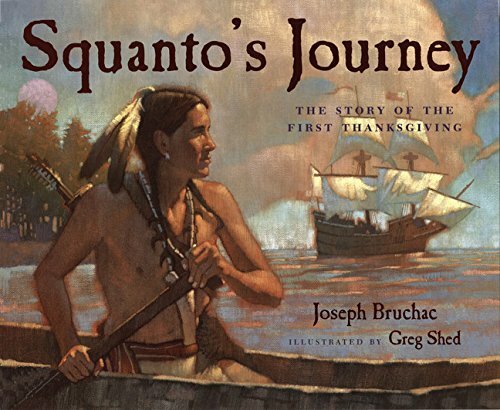 Squanto’s Journey: The Story of the First Thanksgiving: In 1620 an English ship called the Mayflower landed on the shores inhabited by the Pokanoket, and it was Squanto who welcomed the newcomers and taught them how to survive. When a good harvest was gathered, the people feasted together–a tradition that continues almost four hundred years later. Thanksgiving Mice! 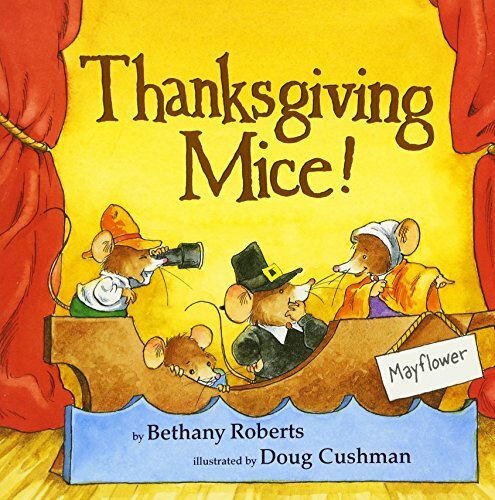 : Lively verse introduces beginning readers to basic words and rhyming sounds and tells the story of the very first Thanksgiving, when the Pilgrim mice traveled across the sea and settled in America. The simple story-within-a-story format, accompanied by colorful, action-filled illustrations of mice in costume, also serves as a basic introduction to theater. The Very First Thanksgiving Day: Join author Rhonda Gowler Greene and illustrator Susan Gaber on a journey back to the very first Thanksgiving Day, when two societies came together to feast and honor the earth’s bounty in peace. The Ugly Pumpkin: The Ugly Pumpkin has waited all through October for someone to take him home, but no one wants him. He doesn’t look like other pumpkins. So the lonely Ugly Pumpkin leaves the patch in search of a place where he’ll fit in. By the time Thanksgiving arrives, he discovers the truth about who he is – but it’s not what he expected! 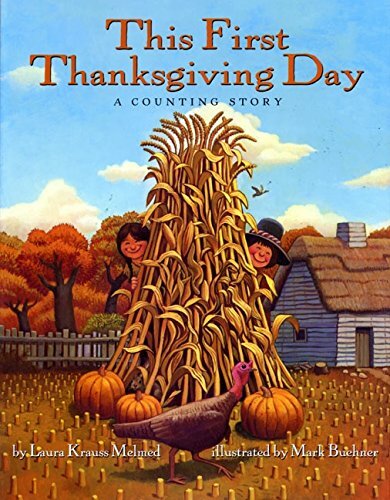 This First Thanksgiving Day: A Counting Story: This rollicking counting story celebrates the very first Thanksgiving Day with vibrant illustrations and lively verse. Follow the Pilgrim and Wampanoag friends as they prepare for a great feast, and along the way look for the bold turkey on every page — and for the very sharp of eye, there are all sorts of surprises hidden in the art! 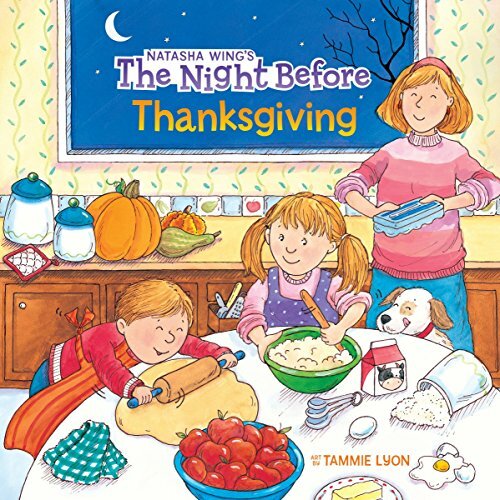 The Night Before Thanksgiving: A creative spin on the Clement C. Moore classic, The Night Before Thanksgiving is a warm, whimsical celebration of everyone’s favorite fun-filled, family-filled, food-filled holiday! Follow along as the feast is prepared, cousins are greeted, and thanks are given, all with an extra helping of holiday fun. 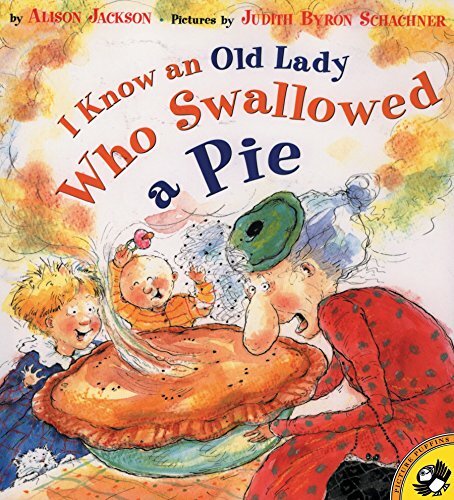 I Know an Old Lady Who Swallowed a Pie: I know an old lady who swallowed a pie, a Thanksgiving pie, which was really too dry. And with that the feast begins! After the pie the old lady swallows a whole squash, all of the salad, and the entire turkey!
. . . If You Sailed on the Mayflower in 1620: What kind of ship was the Mayflower? How did the Pilgrims feel when they saw land? What was the first building in Plymouth? 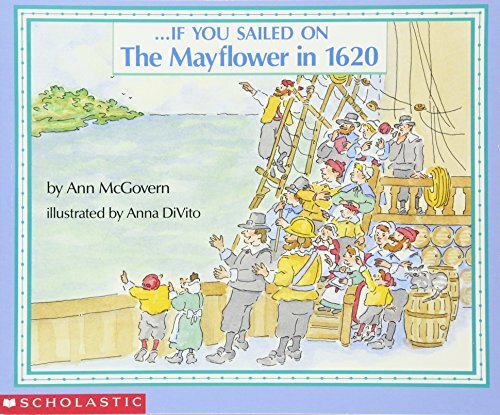 Boys and girls will find out why the Pilgrims left England to live in America, what they took with them on board the Mayflower, and the hardships they endured. They’ll learn what the Mayflower Compact was, how the Pilgrims made a peace treaty with the Indians, and how these brave settlers managed to survive in their new land. We’ll be reading one additional chapter book in our house for our elementary-school child. Check it out… it may just become your favorite chapter book series to read together! Thanksgiving on Thursday (Magic Tree House #27): Jack and Annie are ready for their next fantasy adventure in the bestselling middle-grade series—the Magic Tree House! 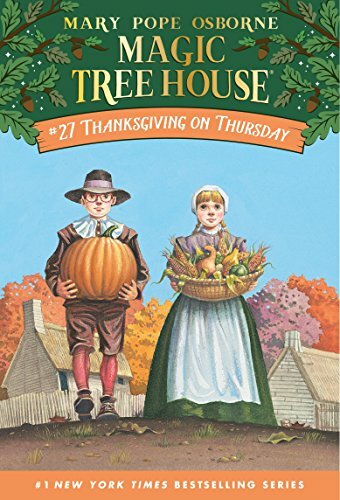 It’s a time for giving thanks when the Magic Tree House whisks Jack and Annie back to 1621 on the first Thanksgiving Day. The Pilgrims ask them to help get things ready. But whether it’s cooking or clamming, Jack and Annie don’t know how to do anything the Pilgrim way. Will they ruin the holiday forever? Or will the feast go on? 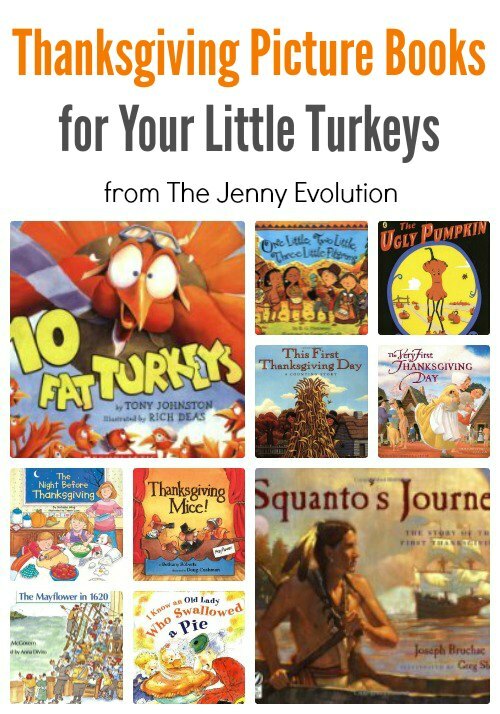 Like these Thanksgiving picture books? Find even more engaging book lists for kids with more than 100 book-themed reading lists! 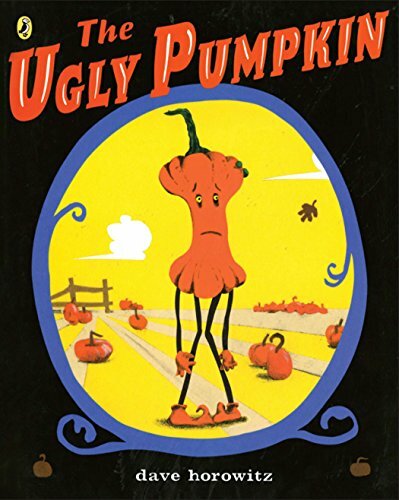 The Ugly Pumpkin book looks adorable! I am so glad that Squanto’s Journey made you list – that is such a beautiful book and one of my family’s favorites this year. The Very First Thanksgiving Day and the Ugly Pumpkin look great, too. Thanks for sharing this list. I love Squanto’s Journey, too. I think it’s overlooked often and wish more people knew about the book. Also, I was wondering if I could join your Children’s Book Lists Favorite Picture and Chapter Books group pin board. My pinterest name is Anna Lowell, http://www.pinterest.com/anjolowe/ I would be pinning only book reviews and books lists from my blog. Please let me know if this would be a good fit for your group board. Thank you! Ooo. Thanks for the tip. I’ll have to go check it out!